Ted Cruz, Paul Ryan: Post-Democracy Republicans. Paul Ryan thinks the results of the 2016 election will be more legitimate than the results of the 2012 election. For all the words Ted Cruz said this week, the most spurious argument he made revolved around a number. In his 21-hour* Senate floor speech, Cruz kept referring to a petition circulated online by the Senate Conservatives Fund, which raises money to beat “RINOs” in primaries. At a microsite, DontFundIt.com, the SCF had collected 1.6 million signatures asking senators not to fund Obamacare. “I want to stand and fight for the more than 1.6 million Americans who signed a national petition against Obamacare and to the millions more who did not because they were told by a politician it is not possible,” said Cruz in his speech. “The very fact that over 1.6 million Americans have signed a petition, have picked up the phone, have been calling offices in this great chamber is viewed as an inappropriate imposition.” He referred to the 1.6 million four more times. It went mostly unremarked on at the time, but think about this: Cruz was demanding that a law be defunded because of an Internet petition. The 2012 election results, and their 64 million votes for Barack Obama, were moot, thanks to the fractional number of conservatives who’d gone online after seeing a Cruz/SCF TV ad. There’s a lot of this going around. 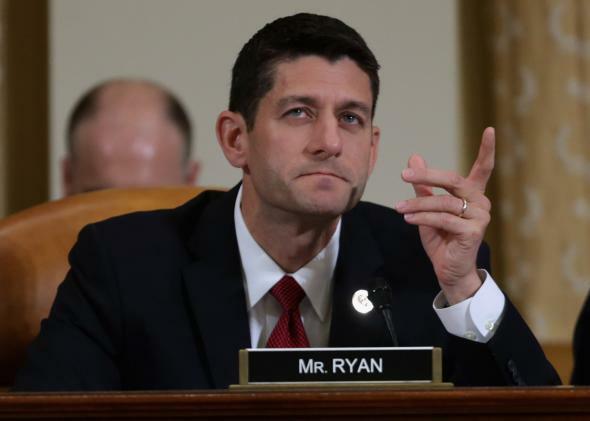 “The reason this debt limit fight is different is, we don’t have an election around the corner where we feel we are going to win and fix it ourselves,” said Paul Ryan in a Wall Street Journal interview. “We are stuck with this government another three years.” In an interview with Josh Green, Jim DeMint argued that the 2012 election denied Republicans a real Obamacare referendum because Mitt Romney was compromised on the issue. The goalposts are being nudged—Republicans want to argue that the president, re-elected 10 months ago, lacks the consent of the governed because of new, nonelectoral factors. It would sound weird in any context; it sounds weird now.